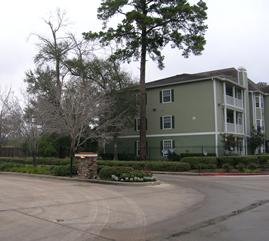 Purchased in December 2011, Diamond Loch Apartment community consists of 138 units in 18 buildings sited on 6.51 acres in North Richland Hills, Tarrant County, Texas. Value was identified in the large average unit sizes of over 1,000 square feet, as well as needed, extensive exterior and interior upgrades via a capitalization program. The property was put under contract September 30,, 2011 by Stillwater Capital Investments (SCI). Panther raised $1,850,000, of which $1,800,000 equity was directly invested in the acquisition. SCI also obtained the third party debt component from Fannie Mae for the transaction and provided any guaranties required by the lender. Panther FW Investments and its’ investors provided no guaranties on the debt. Diamond Loch possessed a strong historical operating occupancy exceeding 90% over the previous five (5) years. Occupancy during Panther’s hold period held up well and was 97% at time of sale. Stillwater Capital Investments (SCI), was the original general partner. The property was owned and managed by a family and thus was believed to be a prime candidate to benefit from professional property management. Having paid the full preference of 10% for the initial 14 months of ownership, it became clear to Panther that the original capital budget was insufficient and that property management of this property did not fit the experience and expertise of our general partner. In order to regroup and reset the performance of Diamond Loch, current distributions were suspended in May 2013. Additional capital was arranged through placement of ‘preferred equity raise’ and Knightvest Capital was brought in as Property Manager and General Partner. Although admittedly a struggle, needed interior and exterior upgrades and repairs were accomplished resulting in an increase in average, in place, monthly rents of just under $300. 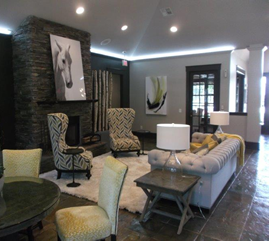 Knightvest completed interior upgrades on approximately 64% of the property. Harvesting the added value with future upside left for the next owner marketing for sale was commenced in the fall of 2015. Diamond Loch was under contract once in early 2015 but that contract fell out. Going to an out of state buyer, the property was put under contract again in March of 2015. The loan assumption process was tedious and slow. The property successfully sold in September 2015 producing an overall, average annual return to the individual limited partner of 10.28% or a 1.38 multiple. Panther FW investors achieved an annual return on investment of 10.28% or a 1.38 multiple over 45 month hold period.